Mamata Banerjee is in the Capital to attend Ram Nath Kovind's swearing-in ceremony, but the West Bengal chief minister has some other plans in mind as well. Banerjee is likely to meet Congress President Sonia Gandhi today (Tuesday) to chalk out a strategy to strengthen the Opposition grand alliance to oust BJP from power by the 2019 Lok Sabha elections. This follows the call Mamata made on Friday at her All India Trinamool Congress (AITC) rally in Kolkata. Sources in AITC said that Banerjee will arrive Delhi on Monday and after the swearing-in ceremony at Rashtrapati Bhavan, she is likely to meet with Sonia Gandhi. She is also supposed to speak with other leaders like Bihar Chief Minister Nitish Kumar, Delhi Chief Minister Arvind Kejriwal, RJD Chief Lalu Prasad Yadav and Orissa Chief Minister Naveen Patnaik. “Banerjee is likely to discuss the issues that will help the alliance garner more votes in the upcoming Lok Sabha elections with the Opposition leaders. Apart from highlighting various scams in BJP-ruled states including VYAPAM, the issues that will be highlighted include farmers suicides in India in last three years. The issue of religious polarisation leading to communal tension in various states will also be raised,” a senior AITC minister said. While this plan may seem good on paper, the reality might be quite different. Both the Congress and the CPI(M) have claimed that earlier as well Banerjee had gone to meet Sonia Gandhi and had spoken about the need for a grand alliance. However, Nitish Kumar and Arvind Kejriwal had not supported her move and she went back to Kolkata empty handed. 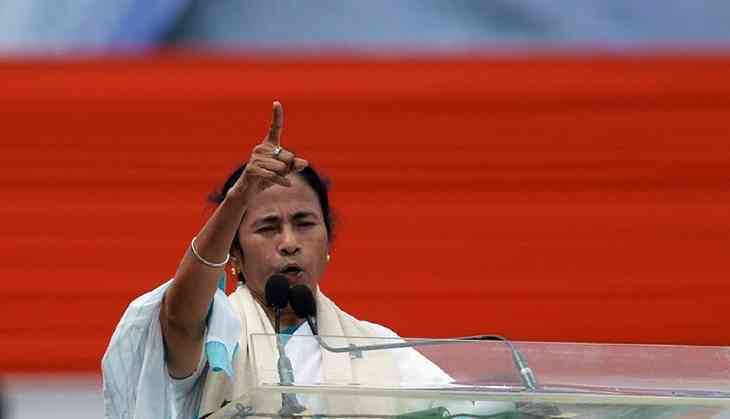 “Mamata can chase her dreams of becoming prime minister. But till now no opposition party has taken the call to come on board to form a grand alliance with the AITC. Mamata is claiming that she will oust BJP and at the same time, she has a secret understanding with the BJP. As a result, till now no opposition party have decided to join hands with Mamata,” said CPI(M) leader Sujan Chakraborty said. According to BJP leaders, Mamata can join hands with any political party but there is no chance of ousting the BJP from the Centre after the Lok Sabha elections. “We feel that our votes will increase in the Lok Sabha elections and we are not at all worried about the grand alliance that Mamata Banerjee is speaking of,” Dilip Ghosh state BJP president said.